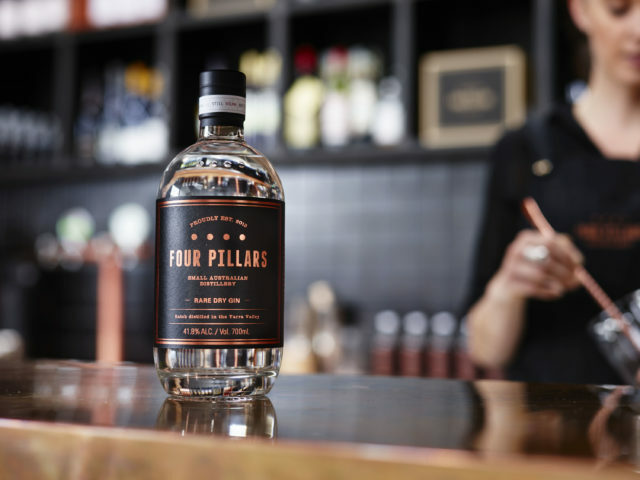 Australian food and beverage company Lion has acquired a 50% stake in fellow Australian gin brand Four Pillars for an undisclosed sum. The agreement was reached between the management at Lion and the gin brand’s owners Stuart Gregor, Cameron Mackenzie and Matt Jones, who founded the distillery back in 2013. In a press release, Four Pillars’ owners said that the investment would help them “to follow their dream of building the world’s leading craft gin brand”. Co-founder of Four Pillars, Stuart Gregor, commented: “The partnership with Lion really is a ripper for us. It would not be untrue to say that more than a few organisations have shown an interest in us over the past 18 months and Lion just felt the best. “We like their focus on craft, we like the fact we will be their first and most important craft spirit brand, and we like the fact that part of the deal is a slab of Furphy every month for the rest of our lives. Lion is heavily involved in the brewing industry, owning brands including James Squire, Malt Shovel, Little Creatures, White Rabbit, Kosciuszko, and Furphy. The company also has a portfolio of brands in the wine and dairy sectors, employing roughly 6,500 people across Australia and New Zealand with 34 production sites in total. It’s parent company Kirin Holdings, which as well as the Kirin Brewery Company and Kirin Beverage Company, also has a 55% stake in Myanmar Brewery Ltd, jointly owns San Miguel Brewery and has a 24.5% stake in Brooklyn Brewery. Last year, Lion snapped up Bermondsey-based craft brewer Four Pure – it’s first production site in the UK. Commenting on the acquisition, Lion’s managing director James Brindley, said: “The partnership with Four Pillars is really exciting for Lion, as we venture into new categories outside our core beer business. Vanguard Luxury Brands, which has distributed Four Pillars’ range in Australia since 2013, will continue to sell its products to bars, retailers, restaurants and pubs across the country.